Growing outdoor is inexpensive and it does not require any special equipment compared to indoor grows. 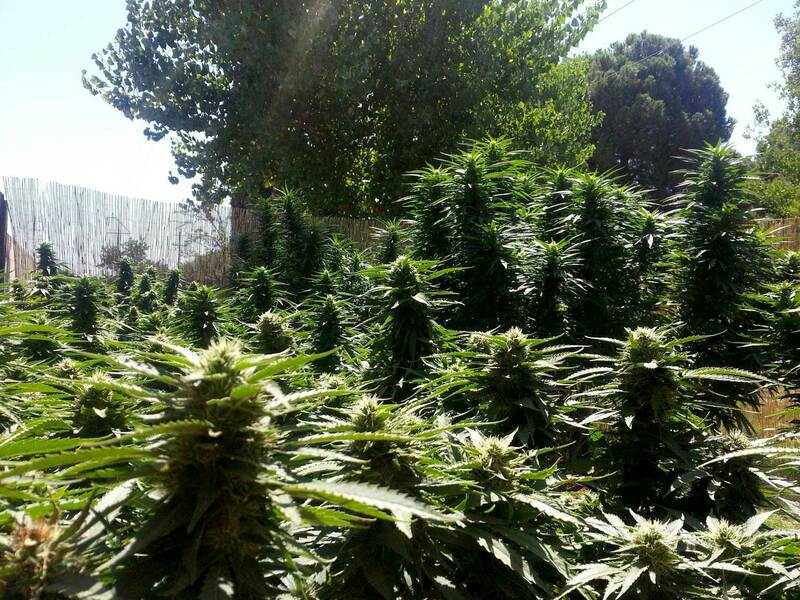 Outdoor plants can become large and yield huge harvests; there are no electricity bills, because the sun and wind is free; and last but not least it is a more natural, ecological and sustainable way of growing. However, there are some serious limitations: plants are vulnerable to thieves, wild animals (especially in early stages of growth) – and the worst – law enforcement in places where it is illegal to grow. Also, outdoor growing usually yields less potent flowers in terms of cannabinoids content – but that is not a rule, it always depends on the particular grower, genetics, quality of soil etc. Still, many growers swear by growing outdoors and believe that the sunlight is superior to artificial lights.